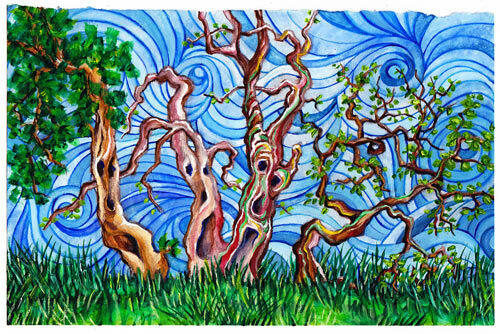 Not totally loving my experiment with this Four Trees painting. I think the heavy colored stripes in the third tree are too intense. The lines and colors feel too sharp. But there's time for more experimentation. Here is stage 2.